Here we will discuss 35+ ways to save energy and how these energy saving tips can help us in our daily lives. Energy saving is very important. Energy saving can help us in many ways such as environmentally, financially and for humanity as well. It is a collective task that requires everyone’s helping hand to make it successful. To get success in energy saving the foremost thing which is very important is “awareness”. Awareness acts like a weapon that can affect an individual so that he can put efforts to make energy-saving successful. 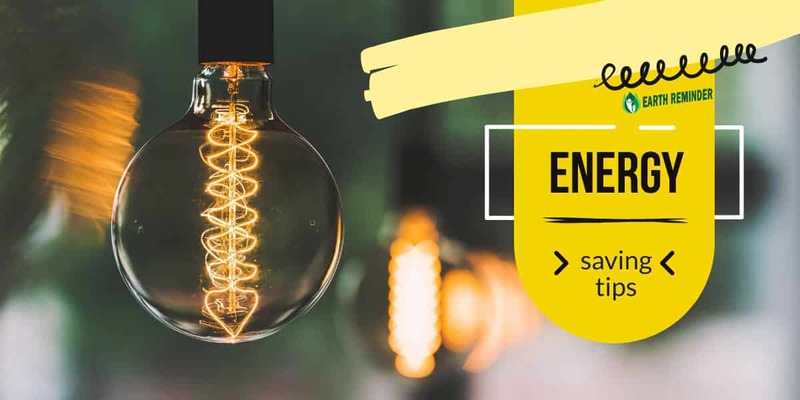 Energy saving can be done at every step of your daily life whether it is about using electronics, lighting or cooking or whether it is about home or apartments. There are a few changes that we can implement in our daily lifestyle to contribute to energy saving. Now, what are those changes that you need to implement? To get an answer to this question you can go through useful energy saving tips. You should switch off your television while you are having your meal, even if your kids are not watching television. Do not put your television on standby mode, it just takes a few minutes to restart it. In standby mode also, the appliances use energy. If your television has crossed the expiry date, do not stretch it for long. Replace your old television with a new one to save energy. Do not continue plugged in your charger of laptop or phone even if it has charged fully. There are many chargers which use electricity even after completion of the charging. Most of us have the habit of keeping on our computers even if it is not in use. You should on your computer only when you have some task to perform, it also helps in saving energy. You should try to keep your refrigerators and freezers full because it works quite efficiently when it is full. It does not mean that you overload your refrigerator and freezer then it has to push harder to function properly. You must have seen some people leave their mobile phones plugged in for whole night which is a very wrong habit. You should charge our mobile till you are not going to bed. Simply, plug out the charger before you go to bed. If your desktop is quite old then it is the time to get a new You can recycle your old desktop and buy a new laptop. One of the very important changes to implement in your daily life for saving energy at home is switch your light bulbs to LEDs. You should use the outdoor lights only from sunset to sunrise. You can actually control this timing by setting a timer or something like alarm. Try to use natural light whenever it is possible. Make a habit of switching off the lights when they are not in use. It will also help you to reduce your overall electricity bill. Most of the time we look into the oven while baking which actually reduces the temperature up to 25 degrees In this situation, the oven has to use more energy to regain the previous temperature. If you use the dishwashers at night, it helps to keep your house a bit cooler. It also helps in decreasing the pressure on the power line in the peak hours i.e. from 4 pm to 7 pm. The best option to use your refrigerator is following the instructions of the manufacturer given in the booklet. It helps in maintaining the cooling properly and avoiding wastage of energy. You should clean the filter of your dishwasher to function it efficiently. You should make use of the microwave for cooking instead of the stove. The ventilation fan what you use in your kitchen should be used until it is needed, after that you should switch it off. If you keep the ventilation fan on for a long time, it will start replacing the inside air with outside. You can switch off your oven a few minutes before your cooking time is over because the inner heat helps to cook without any extra consumption of electricity. You can save your cost up to 10% for heating & cooling in the home by sealing the cracks, repairing leakages, addling insulations etc. In summer season you can help in reducing a load of your AC by closing the shades or curtains to keep your home cooler, whereas in winter you can open the shades to keep your home warm. Service your AC on a regular basis so that it can work efficiently. Dirty air filters can reduce the cooling system of your AC. If you are not at home, do not forget to switch off your AC. In the winter season, once you are comfortable in your bed then you can switch off the room-heater. The variety of programmable thermostats is available in the market. You can install a programmable thermostat for automatic function, it helps to adjust the temperature automatically as per variable conditions. You need to get your heater serviced on regular basis to avoid inefficient function and wastage of energy. Regular cleaning or replacement should be done for all filters to avoid wastage of energy because dirty filter pressure your system to work very hard as compared to normal. The thermostat of your home should be adjusted to the required temperature to save energy. You can cut short your shower time. As hot water is costly so if you can minimize your shower time it helps in saving some energy. A very common mistake which few people makes turns the water on while brushing teeth, shaving, washing hands etc. Well, you need to change this habit if you really think about saving energy. If possible use cold water instead of hot water to wash your laundry and also hand dry it after washing. Most of the energy of a washing machine is used in heating the water which increases the electricity bill. Similarly drying clothes in the washing machine also increases the expenditure which can also be cut short with the help of air-drying. Many people use a power shower for bathing which requires high-pressure to function. A power shower is not energy efficient, hence if possible you can switch to a traditional method of taking shower. Spend some time with your kids playing outside so that they do not get much addicted to playing electronic games such as video games. Outdoor games will also help your kid to stay fit & healthy. You can install free solar panels in your home. It helps in energy saving and also saves your electricity bill up to one-third of your current bill. If you know more energy saving tips please reply in the comment section, we will add it. In the mean time check Earth Day Tips.